The C. 710 is a new 95.3 m scientific research ship that has just been completed by the CNP Freire shipyard in partnership with AISTER with the “most advanced design in Latin America”. 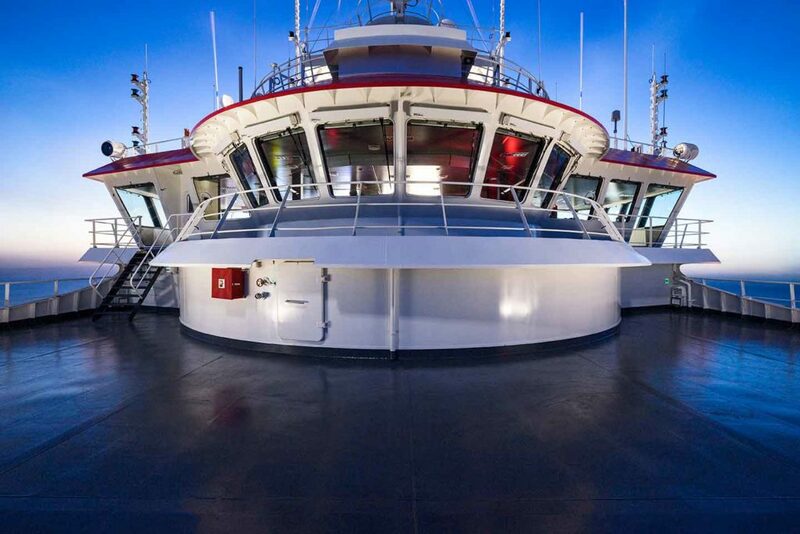 Its high-tech construction puts Galician marine engineering at the forefront of the sector. With a marine-grade steel hull and an aluminium superstructure, manufactured by highly qualified AISTER staff, the ship has two main advantages: its lightweight marine-grade superstructure improves the ship’s energy efficiency, giving it a range of 51 days and a top speed of 16 knots, and the ship is designed as a platform for handling unmanned vehicles that can dive to depths of 1,000 m.
BAP Carrasco has been fitted out for research in Peruvian waters and the Antarctic, where the country’s Machu Picchu scientific base is located. The Carrasco can sail for long periods with a crew of 50 members and 60 technicians, facilitating major projects on the white continent. The ship is equipped with laboratories for hydrographic information, marine geology, oceanography and chemistry for studying samples, as well as a wet and dry laboratory for marine geology. The ship’s superstructure is manufactured from EN AW 5083 H 321 marine-grade aluminium alloy plate, which has a higher breaking load than the metal normally used to manufacture these parts (EN AW 5082 H 111). AISTER also has direct access to the sea, allowing it to ship the superstructure to the CNP Freire shipyard as a single piece. 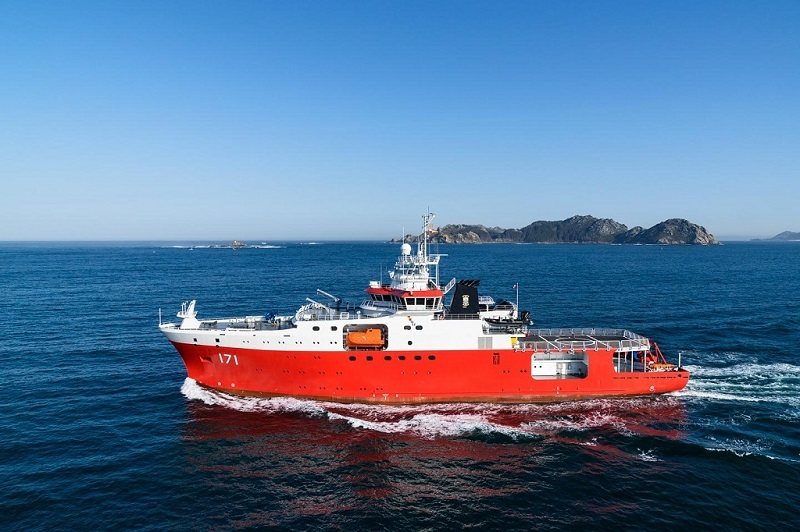 The company has been involved in a number of prestigious projects: in 2012, we built the superstructure for a similar research vessel, fully designed in Vigo and with a capacity of 52 people, for the British Institute National Research Council (NERC).